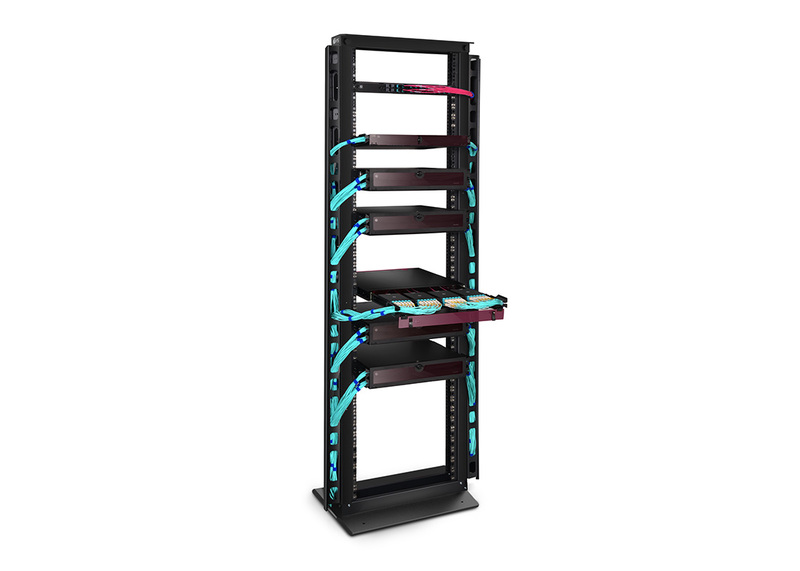 The open-frame rack provides easy access and offers plenty of open space for cable management, making this solution ideal for network wiring closets and distribution frame applications with high-density cabling, typically used for server room and data center rack applications that don’t require physical security and don’t need added airflow control. 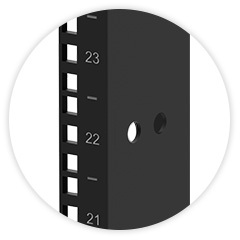 The mounting holes along the rails allow for the easy attachment of cable management. 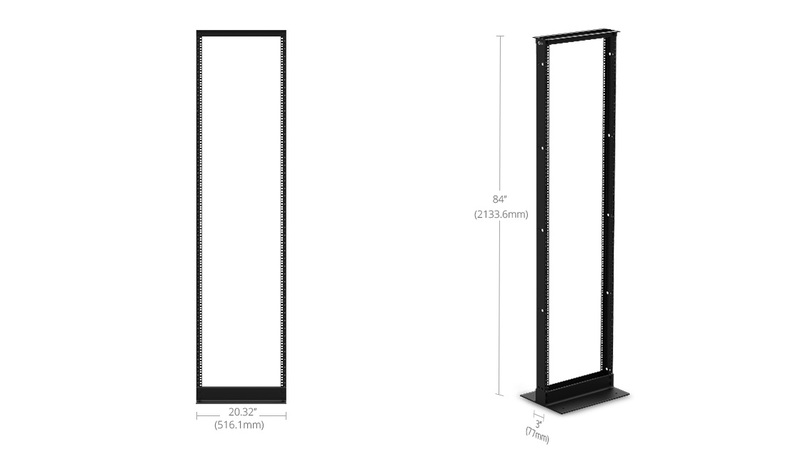 Mounting positions for easy installation of standard 19-inch rack equipment. 2- post racks are most commonly used for IT equipment that is not very heavy such as punch down panels, some switches, and more. Working on equipment on a 2-post rack is much easier since there is nothing that is getting in the way. Sturdy and great product. Extremely solid and durable. Solid construction, easy to build, and very good quality parts. I was very surprised at the quality of this product. Easy to find the parts I was looking for, as well as their pricing and shipping. Delivery of the products was faster than expected.Great service. 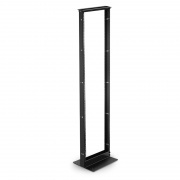 Super easy to find the exact rack I needed. Blown away by the quick order process and shipping. I received the rack on the date stated. Installed the same day. An easy and great experience. Thanks! I must say I was very satisfied with the product and delivery time. Plus the rack is great. I have no complaints and will refer others. Thank you! 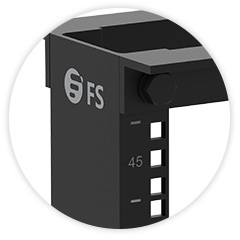 FS.COM always has what I need and has really great prices as well. Their shipping is very quick and the staff is great to deal with when I do have to call. This is my first experience with FS.COM. I found the online site very easy to navigate, but thorough in the product line available. The checkout process was equally easy and complete. After several purchases now as a returning customer. We love the professionalism and quality of your products and service. It's a piece of mind knowing that when we are in need for a rack or other network related products, that we are in good hands! Keep up the good work! Very satisfied with my purchase. It was quick and easy to install. Will continue buying from you guys in the future. Thanks! Always a pleasure doing business with FS.COM. Quality goods, excellent customer service, quick shipping and good prices. What's not to like?